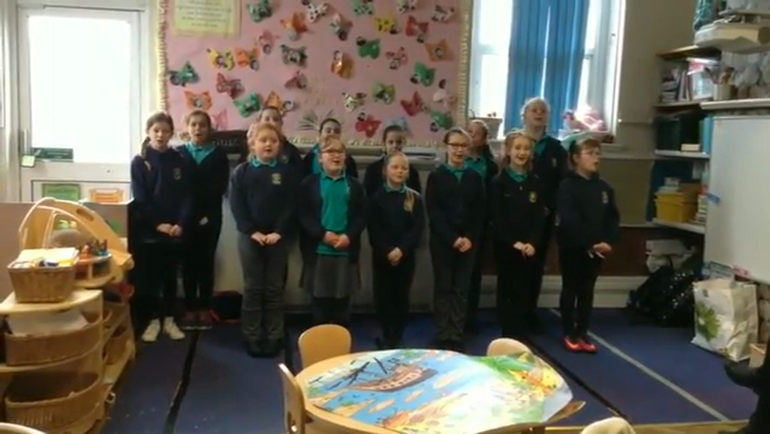 Every week our choir meets for a good sing-song during a lunchtime. All pupils in KS2 are welcome and we usually have between 40 and 50 members. We sing in a variety of concerts throughout the year, both in school and in the community, and we have even sung at a wedding! We enjoy singing all types of songs and there are always opportunities for budding soloists to perform. Mrs. Davies plays the piano and Mrs. Williams waves her arms around in front of us!